For the fourth week of favorite tunes from 2017, I look at a surprising cover, a repeat offender and a promising start to 2018, among others. Locust Grove, "Monster" from the Monster EP. One of my favorite finds in recent years, and one of my greatest disappointments when they broke up less than a year after I discovered them was Oklahoma hard rockers Anti-Mortem. Guitarist Zain Smith is back on the hard rock scene now, though, with Locust Grove (where he also handles vocal duties). It's not quite Anti-Mortem, but definitely enjoyable and in the same vein. For week 3 of the playlist, we've got hard rock sounds, country, a little funkiness and a late pirate attack. Firewind, "Back on the Throne" from Immortals. Guitarist Gus G may not have gotten to record an album with Ozzy Osbourne, but he was clearly writing for it. There's some great classic rock riffage that will certainly remind listeners of both Jake E. Lee and Zakk Wylde. This tune's a little different from the rest of the record, but very cool. Week two of my 2017 playlist includes my favorite track from a great comeback album, a high-powered rock 'n' roll team and a couple of solid tracks from lackluster records. Hellbound Glory, "Hellbound Blues" from Pinball. One of the few musical high points of 2017 for me was the triumphant return of Hellbound Glory. This gritty, dark rocker from the record is easily my favorite song. While I in no way condone the use of cocaine, I love the first verse of the song, particularly the interesting description of his coke as "whiter than the Alabama Ku Klux Klan." I'm still trying to decide whether it's worth doing an end-of-year list for 2017. You'll note that I didn't write much this year, and while it's true that I was busier than normal, it's also because there wasn't a whole lot that excited me musically this year. That said, there were a couple of great records and a handful of really good songs. So I'll start with my playlist and see where it goes. 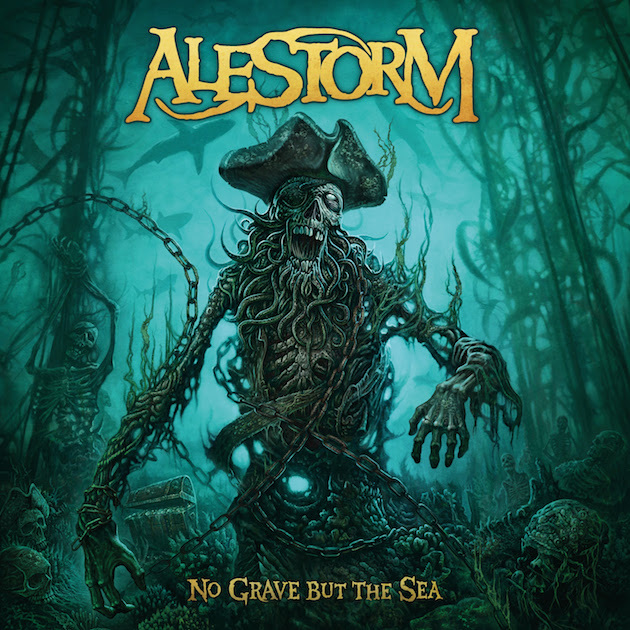 Alestorm - "Fucked with an Anchor" from No Grave but the Sea. Let's go ahead and get this one out of the way, since everyone knows it's coming. I called it as my song of the year when I reviewed the album, and that hasn't changed. This silly profane song was the most fun that I had this year musically, and you'll be seeing Alestorm again in this playlist. Review: Alestorm, "No Grave but the Sea"
I haven’t written much on music this year and, frankly, it’s because not a lot has excited me through the first half of the year. There are a couple of records I’ve liked that I need to catch up on, but nothing has really blown me away. Until, of course, Alestorm’s No Grave But the Sea arrived. Let’s start at the obvious starting point, the title that probably caught most fans’ attention when the song list was released a while back: “Fucked with an Anchor.” And, yes, it’s even more epic than you imagined. It’s easily the band’s most profane song, and also one of the catchiest in Alestorm’s catalog. It tells the story of a man cursed at birth with an unfortunate (or fortunate, depending on how you look at it) speech impediment and his quest for revenge against the witch doctor that put the curse on him. When rockers begin to get older, you expect to see it in their performance. 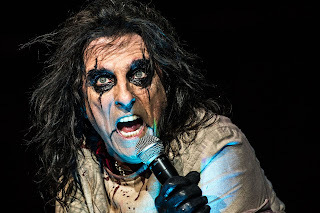 But there was absolutely no evidence of a near 70-year-old man when Alice Cooper took the stage at the Shreveport Municipal Auditorium. There was only Alice Cooper — just as powerful and in command of the crowd as he’s ever been. I’m not sure that the hallowed halls that once housed the famed Louisiana Hayride have ever seen a spectacle quite like they witnessed on this night. Alice stormed out of the gate with the punishing title track from his 2000 record Brutal Planet, arguably his heaviest album and one of my favorites. He then proceeded to run through a series of fan favorite tunes – “No More Mr. Nice Guy,” “Under My Wheels,” “Lost in America” – without giving the audience room for so much as a breath. The year was 1997, and I had just logged on to the internet. After a few months of cruising around and checking things out, I came up with some big plans. I'd always wanted to be an entertainment writer and own a bookstore, and the internet put those possibilities in front of me. On the World Wide Web, I could reach an audience that would appreciate my reviews of heavy metal music and fantasy books like the readers of the newspaper that I was writing for at the time never would. Associates programs gave me the opportunity to have a book and music store without a lot of the hassle of actually running a book and music store. It was the perfect storm, so I thought. That led to the launch of two sites on the old members.aol.com servers, The Hall of the Mountain King (viewable via the Internet Archive), which served as landing page and music site, and The Bookwyrm (also viewable via the Internet Archive), which housed my book content. In my mind, these two sites would eventually become go-to hubs for content on fantasy fiction and heavy metal. As you can see, that didn't work out quite as I'd planned. It’s not often that the passing of someone famous really affects me. When I hear about it, I may think, “Man, that’s a shame,” but I quickly move on. Every now and then, though, someone makes enough of an impact on my life to really hit home. Paul O’Neill is one of those people. 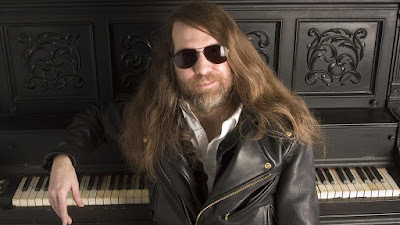 I was incredibly saddened Wednesday night to see a Facebook post from Trans-Siberian Orchestra announcing that Paul had succumbed to a battle with a chronic illness at the too-young age of 61. I didn’t really know Paul O’Neill personally, but I felt like I did. Not only was he responsible for some of my favorite music ever with both Savatage and TSO, I knew him as a warm and friendly man in several interactions I had with him over the years. For me, 2016 was a very hectic year, so I didn’t get the chance to write about as many of these records as I would have liked. Still, it was a strong musical year, and, as you go through my Best Hard Rock and Metal of 2016 list, you’ll see why I’m calling it the year of the classic thrash band. That said, two notable thrash heavyweights who released albums this year didn’t make the Top 10: Megadeth’s Dystopia grew on me as 2016 went on, and was on the bubble as I made my final decision, but didn’t quite make the cut. The other, I was a bit more disappointed by. Though Metallica’s Hardwired … to Self-Destruct contains a few standout tracks – including the best pure thrash song they’ve recorded in ages – I just found most of the record vanilla and unmemorable. Those songs that I love just weren’t enough to overcome the blah numbers that surround them. 10. METAL CHURCH – XI: Here’s our first classic thrash entry already. The return of Mike Howe on vocals certainly piqued my interest, as 1989’s Blessing in Disguise is one of my favorite Metal Church albums, and the lead single “No Tomorrow” got me amped up. The album followed through on that promise. There’s nothing new or fancy here, but it’s just a great old-school thrash record. We've now reached the point in the program where we start to get into mostly repeated artists, and we've entered the new year, so I think I'll wind it down with this week's selections. That said, there are still a few more songs that make my playlist, but I think these 25 or so cover the high points. "We All Fall Down," The Dead Daisies. This was just an old-fashioned, good time hard rock record. It's simplicity and fun made it one of my favorites of the year, and "We All Fall Down" was my favorite track. Just a great hook and a great all-around tune. 3. 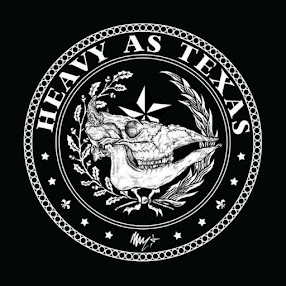 WHISKEY MYERS – MUD: These Southern rockers, I don’t believe, get the respect that they deserve. Mud isn’t as strong an outing as 2014’s fantastic Early Morning Shakes, but still a top-notch effort with some hell-raising Southern rockers and heartfelt odes to life, and a nice tribute to No. 2 on my Best Country and Southern Rock of 2016 list.